Hot drinks has been a star category in retail in the last couple of years with high end bean-to-cup coffee machines and Costa solutions cropping up in more and more convenience stores. 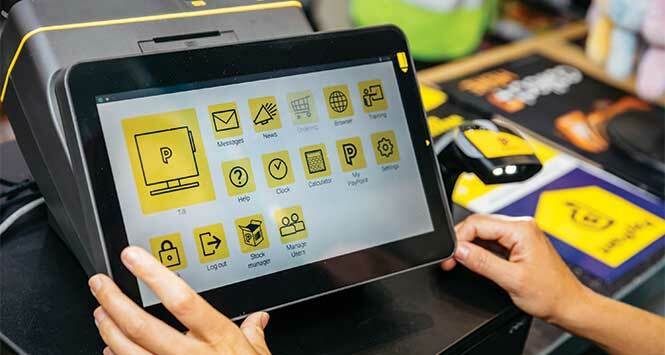 There are many options available to retailers, each with their own merits. Hot chocolate is particularly popular within the hot drinks category. Best displayed near tea and coffee, retailers should stock a cross section of products from the core hot chocolate segments for most impact – instant hot chocolate (to include standard and low calorie), added milk, malted and cocoa. 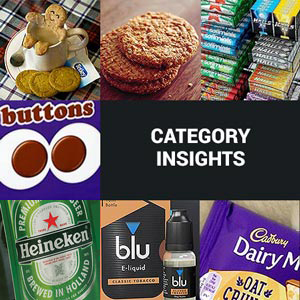 Retailers should merchandise a range of Galaxy and Maltesers products together, to make the most of these strong, recognised brands. Instant hot chocolate continues to perform well, with annual sales of more than £49 million, according to Neilsen total market data. Galaxy Instant Hot Chocolate is an established category bestseller with value sales of £4.5 million. The Instant Low Calorie hot chocolate category is growing and is currently worth £22 million, accounting for some 25% of the total hot chocolate category and 26% of the instant hot chocolate sector. Galaxy Lightstyle contains just 40 calories per serving (rrp £2.99). The Maltesers Malted Chocolate brand continues to drive strong category growth within malted drinks, and outperforms the market at +17.5%. Within Malted, instant malted white drinks now account for annual sales of £11.8 million. For consumers looking for a more indulgent hot chocolate, Galaxy Ultimate Marshmallow Hot Chocolate including real marshmallows, and Galaxy Ultimate White Hot Chocolate with white chocolate pieces bring even more choice and innovation to the category. Both are available in 300g jars. Get the right mix of teas. Keep pace with the health trends in tea. Stock the right pack sizes for your market and know how to use price marks and extra free packs. Develop initiatives to create excitement around tea and drive sales. 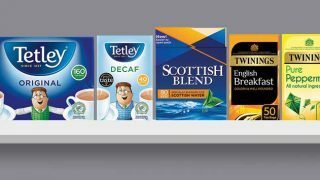 Although value and volume sales of tea overall in convenience have fallen (down 4.5% in volume according to Tetley), there are some strong areas of growth particularly across the smaller higher value niche sectors like decaf, fruit, herbal and greens. With more shoppers moving away from the big shop to more regular top up shopping, convenience stores have a real opportunity to up their tea sales where everyday teas continue to dominate. Careful selection of price marked packs here enable convenience stores to compete effectively against the multiples, offering great value to shoppers and strong volume sales. For increased value sales, stores should consider teas from the smaller niche areas in tea which are increasing in popularity and deliver higher margin sales. Health continues to be a key driver for shopper activity. Research for Tetley by Evolution shows that 78% of shoppers now regularly buy healthy food. When asked which food categories they saw as healthy, tea was second to fruit and vegetables (62% to 92%), and one position higher than muesli in third place (58%). Convenience shoppers like to have a variety of teas at home; so it’s essential to stock a good selection. Space on shelf should reflect the preference for everyday black teas, but it makes sense to include the growth areas in tea, healthy teas like decaf, green and fruit and herbal. Expanding the range of teas you stock doesn’t necessarily mean dedicating increased shelf space to tea, it’s about making the right selection, deciding on the categories of tea you want to include and selecting the best sellers to attract shoppers and deliver higher value sales. The run up to winter is the ideal time to capitalise on tea sales so make sure you dual site products and make effective use of cross category merchandising to drive sales. Green teas are becoming an increasingly popular choice. 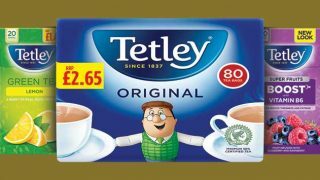 Volume sales of green teas have grown 7.2% in convenience with value sales up 17.4%, according to Tetley research. Tetley Green Pure and Tetley Green Lemon in particular have attracted new shoppers to the green tea sector and are an ideal choice for convenience stores. These packs are available in £1 price-marked packs and packed in shelf ready trays of six. Tetley’s new range of Super Green Teas are the first functional green teas in the UK with proven health benefits. There are four SKUs in the range carrying European Food Standards Agency (EFSA) approved health claims relating to supporting the immune system and helping reduce tiredness and fatigue. Tetley Super Green Tea Immune contains Vitamin C and comes in two flavours; Tropical or Lemon and Honey. Tetley Super Green Tea Boost has added vitamin B6 and comes in Berry Burst and Lime flavours.